Skowkale has been administering property tax since 1996. This was originally done through a bylaw under the Indian Act; however, there is now Federal legislation that allows First Nations to pass their own taxation laws under the guidance of the First Nations Tax Commission (FNTC). The purpose of FNTC is to ensure the integrity of the taxation system and also to ensure that the tax systems reconcile the interests of both the First Nations and the taxpayers. Skowkale First Nation passed its Property Assessment Law and Property Taxation Law in 2012. 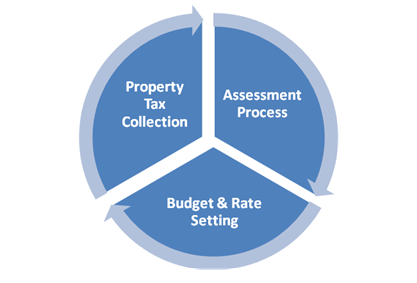 Within the Property Taxation cycle, Annual Tax Rates and Expenditure Laws are created and approved by the FNTC; these are available to view on www.fng.ca and Property Transfer Tax Law forms are available at S.A.Y. Lands Office website. There are currently 396 property taxation folios within Skowkale First Nation. The Property Tax Office issues the tax notices and collects the taxes from resident taxpayers. However, because Skowkale lies within the boundaries of the City of Chilliwack, municipal services are provided by the City of Chilliwack. Consequently, 75% of all taxes collected are transferred to the City of Chilliwack through a service agreement and only 25% is retained by Skowkale. Tax Office Hours: Monday, Tuesday and Thursday from 9:00 a.m. - 12:00 p.m.
Online Access: you may view your tax notice at https://taslogin.com using the Assessment ID and Access Key found under the total amount payable on your tax notice. Homeowner Grant: You can apply for this online at https://taslogin.com using the same information found above in the online access. If you are a NEW homeowner for 2018, you will not be able to claim your grant online this year.